A Good Day to Die Hard has started shooting in Budapest, Hungary, and photos from the set have already trickled in. Today, we get some of the first video footage, which doesn't offer much aside from a look at John McClane's new wardrobe. 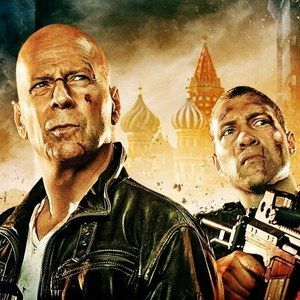 Watch as Bruce Willis walks away from the set, giving away absolutely no spoilers from this anticipated sequel.